A J L Craig was born in 1923 at Leighton Buzzard, Beds. He was educated at Pulford Boys Elementary & Cedars Secondary Schools, Leighton Buzzard. Alan preferred not to use his ‘Laird‘ surname prefix during the War as it got in the way and seemed a bit odd anyway suggesting a Scottish Laird. Double-barrelling surnames was a Scottish invention generally adding the name of the female’s Ancestral Family (matronymic) – it also indicated illegitimacy, where the father to the young unmarried mother would insist his name was carried on, or the Family wanted the rest of the world to know quite clearly who the father was. Alan’s early forebear’s one a Glasgow Merchant signed his name, elided, JohnLairdCraig (merged). Alan said on the subject ‘oh, we’re just some Stuart Bastards Offspring, but you don’t want to know about that’. His father, Jock had wandered off and left Alan entirely in the responsibility of his mother Alethea, and Jock was never ever spoken about. Jock played for Leighton Buzzard FC, and was very good looking, he worked for the Inland Revenue, and died young like Alan. Alan’s cousin Olga, used to run a Pharmacy just off Berkeley Square but ahead of her time as a quietly devoted Lesbian with a long-term Partner, asked if Jock was in effect a bit of a chancer ‘yes dear, you could probably put it like that!‘ There is a photograph of Jock with Alan then aged about 12 standing in an Orchard with his shotgun with the boy Alan emulating his stance. Craig enlisted at Cardington in the RAFVR 0n 29th September 1940 as a Leading Aircraftman aged 17. (Married.1946, St Marylebone District, London) Flight Officer Mary Stanley Smith, WAAF, elder daughter of Mr & Mrs Ernest Smith, of High Wycombe, Buckinghamshire; 2 sons Gavin Ernest & Adrian Joseph, 1 daughter Diana. With an RAF Record of 71 Bombing Operations of which 54 were as Master Bomber and a Civilian Career in Commerce of 15 years, he died aged 48 at Leicester Clinic on 9th June 1971 from a Heart Attack during treatment for Double Pneumonia. Clearly, his heavy Smoking Habit contributed to his early death. RAF Rank structure varied according to the Branch of the Command. An RAF Bomber Command Squadron Commander was a Wing Commander, and in Pathfinder Force (PFF), where Ranks were one higher than regular Bomber Command, a Group Captain. This reflects the number of men in the Unit and the various levels of responsibility. Squadrons were subdivided into 2 or more Flights (A Flight, B Flight, sometimes C Flight as well) and Flight-Commanders were of Squadron Leader or Wing Commander (PFF) Rank. The Squadron Commander was the Senior Airman responsible for the Aircrews. The Station Commander was responsible for the Ground Staff & the Aerodrome itself. Both had Teams of Subordinates assisting with Clerical Work. Squadron Commanders were not required to operate on every raid, but one measure of their leadership skills was how often they and their crew actually did fly with the rest of the squadron. Some only operated on easy missions; others led from the front. Once on an operational Squadron, a normal tour of duty was 30 completed operations. An “op” was a successfully completed flight or sortie, where the primary or secondary target had been attacked. Crews turning back early through technical problems did not count as having successfully operated. The loss rate was around the 4/5% mark, so mathematically it was impossible to survive. Yet about 25% of crews survived a full 1st Tour, after which they were classed as “Tour Expired” or “Screened”, trained as Instructors and sent to HCUs and OTUs to train yet more crews. After a 6 month rest, they came back for another tour of 20 operations. If they survived this, they could volunteer for more; but if they chose not to, they remained as instructors unless promoted to higher things. During the 1st 5 Operations the new crew ran 10 times the risk of the more experienced men, simply because they did not know the ropes. Having survived 15 Ops, the odds were reckoned to be Even. In many Squadrons the rule was “no leave until 5 operations are complete” but normally, Aircrew received 1 week’s leave every 6 weeks, and would be issued with a return Rail Pass to a destination of his choice, plus the necessary temporary Ration Cards. It was 7 men who flew together as a crew with RAF Bomber Command. They formed the closest of bonds, forged through an anvil of freezing temperatures, deadly flak and prowling night-fighters but, with an average age of only 22, their odds of survival were slim. By 1943 the life expectancy for bomber aircrew was just 5 missions – only 1 in 6 was expected to survive their 1st tour of 30 Operations. The chances of surviving a 2nd Tour were even slimmer. Of the 125,000 men who flew with Bomber Command during WW2, more than 55,500 were killed. Whilst the ‘Few’ of Fighter Command had undoubtedly defeated the Luftwaffe during the Battle of Britain, it was the ‘Many’ of Bomber Command who were to play the pivotal role in delivering to the Allies ultimate Victory in Europe. But it came at a terrible cost: on 1 Raid alone – the Nuremberg Raid of 30/31st March 1944 – 543 Aircrew were killed, more than Fighter Command lost during the entire Battle of Britain. Between them, the Pilots of Bomber Command won 23 Victoria Crosses during WW2, and countless others were highly decorated for Courage & Commitment. Belatedly the Nation was eventually to Honour all those who served with Bomber Command. They included some of the RAF’s most inspirational leaders and the most highly decorated RAF Airmen of WW2. Bomber Command Medals were meant to be worn with Pride as Gallantry Decorations. They are intended to Mark the Bravery & Courage of those who flew and the dedication and skill of the Ground Crew whose contribution was equally essential. Veterans of Bomber Command 1939-1945 Aircrews suffered massive attrition rates and yet these men put their lives at risk almost on a daily basis both in Training and in Combat Operations. Bomber Command suffered the highest casualty rate of the British Armed Forces in WW2, losing 55,573 of the 125,000 who served. Yet, from the moment the War ended, Veterans complained that they were officially overlooked, blaming Public & Government disquiet at the cost in German Civilian Lives caused by their Raids. In his V-E Day speech, Winston Churchill, the Prime Minister, pointedly omitted to mention the contribution made by Bomber Command yet after the Blitz in London he said such destruction would be returned 4 Fold and glibly boasted that he could Bomb Berlin at will thereby giving warning to the Nazi Officials to massively bolster their Defences resulting in greater sacrifices by Bomber Command. The ‘Few‘ were remembered with a deal of Reverence & Admiration yet the ‘Many‘ were conveniently Dismissed & Forgotten until recently. WW2 Medals were issued without the names of the Recipients and as such are not directly attributable when isolated from the individual to whom they were awarded. Even some of the higher Awards carry only intrinsic face value and can readily be acquired. The individuals Log Books, Service Record, Operational Record Books, Citations, & Diaries etc., are the only Provenance that instils True Value for the surviving Families. Without the recipients surrounding Service History as evidence, the hard-earned Medals are looked upon as nigh valueless baubles. The Distinguished Service Order (DSO) was awarded to Commissioned Officers for Distinguished Service, normally in positions of Command but also, and much less frequently, for individual Acts of Gallantry. The next Highest Award that all members of the 3 Services including Bomber Command was the Distinguished Service Order or DSO for short. Many DSO’s were Awarded to Squadron Commanders for a long Period of Leadership but in some cases, it was Awarded to Junior Officers for 1 Operation. Pilot Officer Richard Reed of 576 Squadron was awarded the DSO for an Operation to Mailly Le Camp but went Missing and was reported as having been Killed only 3 weeks later without knowing he had been awarded the DSO. He is now buried along with the rest of his Crew in the Reichswald War Cemetery, Germany. Craig’s DSO (441024) was Gazetted on 24 October 1944 (Gazette No 36761 4th Supplement to 20 October 1944) which gives no Citation but Ranks him as an Acting Squadron Leader, still of No 7 Squadron. CRAIG, Alan John Laird, S/L, DFC (103561, Royal Air Force) – No.7 Squadron – Enlisted 1940. Commissioned 1941. MBE London Gazette 1st January 1953. Awarded the MBE as a Squadron Leader on 1 June 1953 on the occasion of the Coronation Honours of Queen Elizabeth ll. A cross patonce in silver. (Obverse) in the centre, within a circle the conjoined left-facing busts of King George V & Queen Mary, surrounded by a Circle inscribed FOR GOD AND THE EMPIRE. (Reverse) the Royal & Imperial Cyphre GRI surmounted by a Crown, the whole enclosed in a Cable Circle. The cross is suspended by a Crown and a Ring. London Gazette 1st January 1953. This Officer has completed a large number of Sorties, many of them demanding a high degree of Skill & Resolution. Throughout his Tour he has displayed exceptional keeness whilst his good Judgement & Outstandingly Ability have contributed in a large measure to the success of many important Missions in which he has taken part. Awarded to Personnel, and formerly also to Officers of the other Commonwealth Countries, for “an Act or Acts of Valour, Courage or Devotion to Duty whilst Flying, though not in Active Operations against the Enemy”. A Bar is added to the Ribbon for Holders who are Awarded a 2nd AFC. The Award was Established on 3 June 1918, shortly after the Formation of the RAF. It was originally awarded to RAF Commissioned Officers & Warrant Officers, but this was expanded after WW2 to include Army & Navy Aviation Officers. Posthumous Awards were permitted from 1979, with all Ranks eligible from 1993 when the Air Force Medal, which had until then been awarded to other Ranks, was discontinued. London Gazette 1st January 1947. Cited with Warrant Officer J E Davidson, Awarded DFC. These are not all the London Gazette entries, only the ones which are returned from a search under ‘Alan John Laird Craig’. They do give some additional information on his career and a full search may provide more. The Distinguished Flying Cross or DFC was in the main Awarded to Officers of the RAF, and many members of Bomber Command were awarded this decoration with its distinctive diagonal Blue Stripe, 1 of 3 Flying Awards having this distinct style of Ribbon. The DFC could be awarded for a Tour of Operations, or an immediate Award for 1 Operation. Made from silver the medal did not carry the Recipient’s Number, Rank & Name but was only dated with the year that it was awarded. London Gazette 21st July 1944. This Officer has completed a large number of Sorties, many of them demanding a high degree of Skill & Resolution. Throughout his Tour he has displayed exceptional Keeness whilst his good Judgement and Outstandingly Ability have contributed in a large measure to the success of many important Missions in which he has taken part. The Defence Medal was also awarded to all 3 Services plus the civilian services such as the Civil Defence, Police, Fire Service; the Home Guard were also eligible provided the qualifications for the medal were complied with. For members of Bomber Command they had to have 3 years non-operational service, if they had been in any of the above Civil Services prior joining the RAF this Service could contribute towards the required 3 years. In some cases, men would come into the Services already having qualified for the Defence Medal. Overseas Services of over a year qualified for the Medal. Many would say that everybody who served the Country in any capacity should qualify particularly with it being called the Defence Medal but this was not so. One classic example of a man who did not qualify for the Defence Medal was the late Wing Commander Guy Gibson VC, DSO & Bar, DFC & Bar. He led 617 Squadron on the famous Dambuster Raid for which he was awarded the VC. His Service from September 1939 to September 1944 when sadly he was killed on an Operation did not include 3 years Non-Operational Service. Those that were killed through War Service and those Awarded a Decoration were Awarded the Defence Medal irrespective of the length of Service. (Obverse) the uncrowned head of King George VI, (reverse) 2 lions flanking an Oak Sapling Crowned with the dates at the sides and wavy lines representing the Sea below. The words THE DEFENCE MEDAL appears in the exergue. The ribbon has 2 broad stripes of Green (this Green & Pleasant land) superimposed by narrow stripes of Black (the Black-out), with a wide stripe of Orange (Fire-Bombing) in the centre. The War Medal (3 September 1939 – 2 September 1945) was Awarded to all Full-time Personnel of the Armed Forces no matter where they Served. The only qualification for Award of this Medal was that they must have served at least 28 days irrespective of whether they were Operational or Non-Operational. 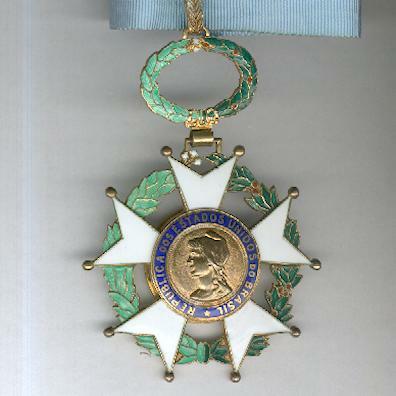 It was granted in addition to the Campaign Stars and the Defence Medal. A few categories of Civilians, such as War Correspondents & Ferry pilots who had flown in Operational Theatres, also qualified. No Clasps were issued with this medal but a Bronze Oak Leaf denoted a Mention in Despatches. The Medal was struck in Cupro-nickel and issued unnamed. The Ribbon has narrow Red Stripes in the centre, with a narrow White Stripe on either side, broad Red Stripes at either edge and 2 intervening Stripes of Blue. Although there was no Official Campaign Medal Awarded for members of Bomber Command an Unofficial Medal was Struck. Some years ago a competition was held in a Magazine to design a medal for Bomber Command. The idea was to Mint a small number of medals and no more. The 1st Medal Minted was taken off the Mint by Lady Jill Harris the Widow of Sir Arthur Harris who before his death in 1984 gave his permission and full backing to an Unofficial Medal being Minted. The 2nd Medal was taken off the Mint by Don Bennett the Wartime Leader of the Pathfinder Force. There were no thoughts of Minting any further Medals until the word got out and a request from ex-Bomber Command Aircrew & Ground Crew was received to make the Medal available for all those that had served in Bomber Command. The 1st quote from a Firm was £25 far too much but the 2nd was £15 of which £1 would go to the Bomber Command Association. This was accepted and the Medal made available with a Ribbon ready to wear and in a Fitted Case. To date with 1000’s sold this has meant the Bomber Command Funds have also swollen by £1000’s. The main issue to do with this Medal is that to obtain a Medal substantial evidence must be provided of Service with Bomber Command and that it is also available to the Ground Crew of Bomber Command whom the Aircrew thought the world of. When you see or hear about this Unofficial Medal remember it was requested by the Men who Fought the War in Bomber Command and not as a commercial venture. Many other Organisations such as the RAF Prisoners of War of which there were some 12,000 including 9,000 from Bomber Command have also requested their own Unofficial Medal. The obverse shows a Tudor Crown surmounting a Laurel Wreath containing the letters ‘RAF‘, flanked by smaller Wreaths beating the Brevet (qualification) letters of a Typical Bomber Crew O, N, AG, WAG, E, & B. The reverse shows a Lancaster Bomber flanked by the dates 1939 & 1945 with an inscription around the circumference ‘A TRIBUTE TO THE AIRCREW OF BOMBER COMMAND‘. …………..All far too late after the sacrifices made. Brazilian National Order of the Southern Cross (Officer Class) 1945 (Acting Wing Commander) – Brazil’s highest Honour and one of it’s 6 Classes. The Brazilian National Order of the Southern Cross was originally known as the Imperial Order of the Southern Cross and awarded to Officers, NCOs and men of the Brazilian Imperial Army and Navy during the war against Paraguay (1865-1870), called War of the Triple Alliance (Brazil, Argentina and Uruguay against Paraguay). This order was certainly awarded to some members of allied armies. Founded on December 1, 1822 by Emperor Peter I of Brazil (IV of Portugal), but abolished by decree of February 24, 1891. The decision by the government of Getúlio Vargas of basing the newly re-established National Order of the Southern Cross on the previous Imperial Order of the same name, and to indicate that the National Order is the successor of the Imperial Order by adopting an almost identical model for the insignia, etc., was intended as a way of increasing the prestige of the new Order, by linking it with the past, that is, by associating it with an Order that had been created more than one Century earlier, and that had been awarded to great Brazilians and foreigners alike. Description: The hallmark of the Order is a star of 5 enamelled white and orlados arms of silver golden, seated on a crown and encimada for a wreath, both made of leaves of tobacco and coffee, having, in the centre, in celestial blue field, the constellation of the Southern Cross, enamelled in white and, in the circumference, blue circle ferrete, legend BENEMERENTIUM PREMIUM, in polishing gold. On the reverse an effígie of the Republic, in gold with the legend FEDERATIVE REPUBLIC OF BRAZIL “(Art. 2 of the Regulation). Officer:- Awarded to W/Co A J L Craig 13th November 1944The recipient wears the badge of the Order on the left breast suspended from a ribbon with a rosette. Brazil, Order of the Southern Cross. London Gazette 13th November 1945. His award of an Officer of the National Order of the Southern Cross, conferred by the President of the United States of Brazil, was Gazetted on 13 November 1945 (Gazette No 37347 4th supplement to 9 November 1945), giving him as an Acting Wing Commander, with no Unit given. He was appointed as a Flight Lieutenant (permanent) with effect from 1 September 1942. Note: His service number is given as 112392, but this is corrected (103561) in a later Gazette. Why 3 Lancaster Bomber Aircraft & Crews and only 1 alleged VIP? – what other Personnel or Illicit Cargo was in these Bombers and why was it so important to Award 2 Key RAF Men involved in the Planning & Completion of this Mission with these highly coveted Medals. Craig was the Base Commanding Officer & Pilot of NX687 GT-A with 5 Crew (no passenger listed)and the 3 Lancaster Aircraft left Base at RAF Wyton for RAF St Mawgan on 23rd July then onward on 25th July to Rabat (Morrocco). They left Rabat on 25th July for RAF Bathurst (Gambia) on the 27th July and left Bathurst for Recife (Brazil) on 28th July and finally arriving at Rio de Janeiro on the same day. Craig and the 3 Lancaster Bomber Aircrews enjoyed 2 weeks of ‘Hospitality‘ in Brazil including trips to various Air Bases in a Lodestar & a Beechcraft. This unique yet somewhat Secret Operation may have led to the Brazilian National Order Medals being awarded by a then grateful successor President Eurico Gaspar Dutra. Lancasters Squad left via Rio for Santa Cruz & Natal Air-base (10th August) to Atkinson Field Nr Georgetown (British Guiana – 11th Aug). Then via Nassau (Bahamas 12th August), Washington (13th Aug). There was then a dash to New York in a Dakota and back by Craig (on 13th/14th Aug) then onward to Montreal (17th Aug) to Gander (20th Aug) & returning to Prestwick on 21st August 1945) then on from Prestwick to RAF Wyton on the same day. The Awards & Medals with Original Provenance are retained by the surviving Family along with Craig’s RAF Log-books & Memorabilia. Distinguished Service Order, GR-VI, dated 1944; The Most Excellent Order of the British Empire, MBE Members breast badge, Military Division, 2nd Type; Distinguished Flying Cross, GR-VI, dated 1944; Air Force Cross, GR-VI, dated 1947; 1939-1945 Star; Air Crew Europe Star with France & Germany Bar; Defence Medal; War Medal; Brazil, Order of the Southern Cross, Officer’s Breast Badge. Mounted as worn, with separate Bomber Command Medal. Extremely fine. Colour copy of a Certificate of “Honoris Causa” from Argentina. For most Awards the procedure was as follows. It began with a recommendation for an Award, drafted by the person’s Superior. In the case of Flying Personnel, this was commonly the Squadron Commanding Officer. In some instances it might be a person of slightly lower status (for example, an AFC recommendation from a School might commence with the CFI before being cleared by the CO; recommendation for a BEM to an Airframe Mechanic might start with the Maintenance Chief suggesting an Award and the unit Commanding Officer passing it on). In any case, the Recommendation proceeded Upwards through Unit CO to Wing or Group CO and ultimately to formation AOC (for example, Fighter Command, Transport Command, Technical Training Command). The process differed a bit according to circumstances. At any point in the process of going up the line, the Recommendation might be edited or changed. It was not uncommon for a suggested Award to be downgraded (say from a BEM to a Mention in Despatches; it was not uncommon for a DFM recommendation to be changed to one for a DFC because the intended Recipient had been promoted to Warrant Officer or Commissioned). Generally speaking, once a recommendation had been Approved at the Air Officer Commanding level it was home free – but there was still an Air Ministry Awards Committee that had the Final say before sending the Award to the London Gazette for Publication. The Air Ministry Committee might still cancel or alter a recommendation for Policy reasons (for example, awards quotas being exceeded, in which case an AFC intended for June 1945 Gazetting might be set back to January 1946). Air Ministry also took a direct part in approving or changing Awards in special cases (escape and evasion cases, for example). Having passed all hurdles and been Gazetted, the Recipient still had to receive his/her “Gong” and the ways were numerous. RAF Humour – The Most Highly Derogatory Order of The Irremovable Finger (Patron: Pilot Officer Prune) has this month been awarded to F/Sgt. — for Failing to put his Hand Up when Wanting to Leave the Aircraft. F/Sgt — was Passenger in the rear of an Oxford which was on a Daylight Exercise. On Completion of a period of Instrument Flying, at about 3,000ft, the Pilot & Instructor looked around and found that they no longer had a Passenger. It turned out later that F/Sgt. , wishing to relieve himself, had opened the Door of the Aircraft, but instead of carrying on with the Exercise had fallen out. He eventually returned to Camp by Bus with his open Parachute tucked underneath his arm.